A former Rwandan ambassador to the United States and former chief of staff to President Paul Kagame has called on Rwandans to continue their peaceful resistance to what he called Mr. Kagame’s state-sponsored terrorism. This comes as a Rwandan court Tuesday denied bail to opposition leader Victoire Ingabire, who was arrested earlier this month on charges of forming a terrorist group. Theogene Rudasingwa told VOA that Ingabire is a freedom fighter who should not be in jail. “My comment is first of all to ask why she should be in jail because Ingabire is not a terrorist as they charged her. In my opinion, I think she’s a freedom fighter, and she’s paying a price for that,” he said. In denying Igabire a bail Tuesday, the court said she could continue her activities and endanger state security if she were let out of jail on bail. Rudasingwa said the court’s explanation fits the pattern of the kinds of accusations that President Kagame normally makes against his opponents. “It’s not only Ingabire who has been called a terrorist. If you are not charged with terrorism, they say you are a criminal, you’re corrupt; they call you a genocidal. So it really fits the pattern, and the only crime that this innocent lady has committed is to speak up against the brutality of President Kagame,” Rudasingwa said. Ingabire said through her supporters that she plans to appeal the court’s decision. But Rudasingwa said the chances for winning an appeal in Rwandan courts are very limited. “It simply shows that as for now Kagame has converted the country into a virtual prison, and I think he takes pride in being its chief prison guard. It’s not Ingabire who is a terrorist. It’s rather the Rwandan people versus state terrorism that is being imposed on them by President Kagame,” Rudasingwa said. Rudasingwa called on President Kagame to release Ingabire and all political prisoners. He also called on the international community to continue to put pressure on President Kagame to allow fundamental freedoms to flourish in Rwanda. “We call upon the international community for whom Kagame depends for his excesses to put pressure on him indeed to make sure that he allows for fundamental freedoms to thrive in the country,” he said. With what he called “many crimes hanging on the neck of President Kagame”, Rudasingwa said the international community should also make sure that Mr. Kagame accounts for what former envoy said are crimes being committed against the Rwandan people. Adapted from the article “Leaked: Rwandan Secret Services’ Plan to Eliminate Victoire Ingabire” posted on “The Proxy Lake,” blog on 17 October 2010. The Rwandan Department of Military Intelligence (DMI), in collaboration with the Rwandan national police, allegedly masterminded a conspiracy to indict and eventually eliminate Madame Victoire Ingabire Umuhoza, Chairperson of an unregistered Rwandan opposition party, the United Democratic Forces (FDU)-Inkingi. The alleged plan was initiated by leveling a new criminal charge against Madame Ingabire. The charge claims that she collaborates with a newly formed armed group affiliated with her political party. This information comes from Umuvugizi, a Rwandan local newspaper that recently had its six-month government-imposed ban lifted after the suspension’s time period expired. The article containing the allegations was published on Sunday, 17 October 2010. Rwandan officials also allege that Mr. Paul Rusesabagina, the famous figure depicted in the Hollywood film “Hotel Rwanda,” is also involved, which Mr. Rusesabagina strongly denies. Based on a tip-off from an informant allegedly inside Rwandan President Paul Kagame’s DMI, Umuvugizi’s exiled Chief Editor Jean-Bosco Gasasira claims the alleged plot against Madame Ingabire was engineered by Colonel Dan Munyuza of the Rwandan Defense Forces (RDF). He was allegedly assisted by General Paul Rwarakabije, a former senior officer of the Rwandan gendarmerie during the regime of the late President Juvenal Habyarimana. After fleeing to (then) Zaire in 1994, General Rwarakabije eventually became a senior commander in the Democratic Forces for the Liberation of Rwanda (FDLR), a non-state armed group that opposes the Rwandan government. After defecting and repatriating back to Rwanda, he eventually became a commissioner in Rwanda’s Demobilization and Reintegration Commission, which deals with repatriating and reintegrating Rwandan citizens who were members of opposing non-state armed groups. General Rwarakabije was allegedly asked to find people willing to play a role in the alleged plot by acting as witnesses to validate the accusations against Madame Ingabire in court and secure her conviction. He was allegedly tasked with recruiting Hutu that were once members of the FDLR that could be convinced to collaborate with the Rwandan government. The article said it is believed that after former RDF General Kayumba Nyamwasa and the former head of the external division of the DMI, Colonel Patrick Karegeya, defected and fled Rwanda for South Africa, the DMI decided to accuse them both of being accomplices to acts of terrorism in Rwanda. These accusations followed a series of grenade attacks in Kigali, the capital of Rwanda. With domestic criminal charges leveled against them, the Rwandan government demanded they be sent back to Rwanda to stand trial. Allegedly, the plan was to isolate and demonize them because both men still maintain strong support within the RDF and with some civilian members of President Kagame’s political party, the Rwandan Patriotic Front (RPF). President Kagame perceives this as a direct threat to his rule because their political influence could divide the RDF and military institutions, presenting the theoretical possibility of an internal coup. There are soldiers in the army and some civilians in the Rwandan government who have grown disillusioned with President Kagame’s rule and/or cultivated close personal ties with General Nyamwasa and/or Colonel Karegeya from their days as fellow refugees in Uganda and/or by serving with them when they were members of Uganda’s army in the late 1980s and/or when they were together in the Rwandan military. To try and stop internal divisions from growing, several key RDF officials were arrested. Other soldiers suspected of having loyalties to General Nyamwasa and/or Colonel Karegeya were shipped away from Rwanda to Darfur. Leadership positions in the RDF and civilian government posts were reshuffled. Some civilian government officials related to arrested soldiers and soldiers suspected of collaborating with General Nyamwasa and Colonel Karegeya were removed from their positions. Most of the civilian government positions were filled by aspiring politicians that were eager to act as proverbial “Yes Men” for President Kagame in order to advance their personal political careers. The higher-ranking RDF soldiers who were not kept in prison but were suspected of collaboration or dissent were transferred to new appointments that required more administrative work and reduced their direct contact with sympathetic fellow RDF soldiers. This allowed President Kagame and his loyal members in the DMI an opportunity to keep a closer eye on their activities. President Kagame also raised the salaries of his presidential guards as extra insurance. Other commentators and analysts believe the re-arrest is a case of diversionary scapegoating politics intended to deflect attention away from the recently released UN Mapping Report that details widespread, systematic crimes committed by various state and non-state armed actors in the Democratic Republic of the Congo (DRC) over the time period of 1993-2003. The Rwandan army, allied with the late Laurent Kabila’s Alliance of Democratic Forces for the Liberation of Congo-Zaire (ADFL-CZ), was singled out as committing the most serious international crimes; crimes the report clearly states may constitute genocide. Another potential factor in the targeting of Madame Ingabire is simply the regime’s long-standing penchant for retaliating against all those who oppose them. Very shortly after Madame Ingabire returned to her home country of Rwanda in January 2010, she visited the Gisozi genocide memorial. Before she left the memorial, she publicly called for the prosecution of war crimes and crimes against humanity committed against Hutu in 1994, which is part of the International Criminal Tribunal for Rwanda’s (ICTR) mandate. She also said there should be a commemoration of Hutu victims killed during 1994. As a result of her comments, she was arrested and accused of genocide ideology, divisionism and genocide denial as well as collaborating with the FDLR. She was granted bail on these charges but put under strict house arrest and constant surveillance. She could not leave Kigali by order of the judge. She also had to report to the local police headquarters regularly for interrogation. In her re-arrest, the charges against her were amended. She is now also accused of participating in the formation of a new armed group to oppose the Rwandan government, the Coalition of Democratic Forces (CDF), alleged to be the armed wing of her political party. Mr. Jean-Bosco Gasasira claims this new charge is fabricated. He says the DMI conspired to invent the CDF and even issued fake “official” press releases to give the charges perceived legitimacy. These documents will be used as evidence against her in court. Some of the original charges against Madame Ingabire stem from controversial amendments to the 2003 Rwandan constitution. The RPF has a pattern of consolidating their power during election years. They accomplish this by passing key legislative initiatives prior to the elections in order to create new laws that can be used as a means to further close off political space. The 2003 presidential election legitimized Paul Kagame’s position as Rwanda’s president in the eyes of the international community despite numerous elections observers uncovering widespread evidence of various forms of electoral fraud and rigging. The 2003 elections formally established what some political scientists would term an “illiberal democracy.” Shortly after the 2003 presidential and parliamentary elections, the RPF replaced the 1991 Rwandan constitution. The new constitution made “denial” and “minimalization” of the 1994 genocide a crime punishable by law. It also set forth the crime of inciting “divisionism,” which is often leveled against dissidents and political opponents who talk about or talk in terms of ethnicity in Rwanda. These terms are all very vaguely defined, allow for a great deal of subjectivity, and provide a potential soft power tool of oppression for the regime. These laws were legitimized through public diplomacy as part of the regime’s national reconciliation strategy and, they claimed, to help prevent another genocide from taking place. The new constitution was adopted by referendum during the same general time period the (then) Chief Prosecutor of the ICTR, Ms. Carla del Ponte, was being forced out of her position at the United Nations due to political pressure applied by the United Kingdom and the United States. She was conducting investigations into crimes allegedly committed by the RPF in 1994 so that she could bring the perpetrators to trial at the ICTR. In 2008, the RPF scored a resounding victory in parliamentary elections. The RPF-controlled alliance won 42 of the 53 directly elected seats in the lower house, the Chamber of Deputies. The remaining directly elected seats went to the Social Democratic Party, or PSD (seven), and the Liberal Party, or PL (four). Of the 27 seats that are not directly elected, 24 are set aside for women appointed by the National Women’s Council, two to youth representatives appointed by the National Youth Council, and one to represent the disabled chosen by the National Disabled Council. The voting record of the PSD, PL, and the various appointed members of the lower house in matters of presidential policy show consistent voting in lock-step with the RPF-led coalition. Thus, there is no opposition to any legislation designated as important by the president. The members of Rwanda’s upper house, the Senate, are not directly elected by the citizens. 12 are elected by provincial and sector councils, eight are directly appointed by the president (officially to ensure representation for marginalized communities), four are appointed by the Forum of Political Formations and two are elected by the staff of the Rwandan universities. Most individuals, members of the organizations and government institution officials that appoint/elect senators are either RPF party members or follow RPF recommendations. Naturally, the RPF currently holds the majority in the Senate and a democratic deficit is apparent. Rwanda has a semi-presidential system with a directly elected president and indirectly elected cabinet headed by a prime minister. However, executive power, officially and unofficially, lies firmly with the Head of State, the president. The current Rwandan government system is highly authoritarian (some argue totalitarian). The president formulates legislation with the advice of his cabinet and trusted advisors then introduces it into parliament. Given the RPF-alliance majority, the fact RPF party members are bound by the Oath of Oneness and some parliament members’ fear the consequences of opposing RPF legislation, RPF power-holders, especially President Kagame, have the ability to push through legislation that tightens their grip on power and erodes the separation of powers with relative ease. Parliament members are deterred from debating bills and developing their own independent legislation, resulting in a lack of representation for the needs of all the Rwandan people, especially the primarily agriculturalist rural population, which is predominantly Hutu. In 2008, the RPF further solidified its grip on power by passing constitutional amendments that created the infamous and vague “genocide ideology” law, a law largely disconnected from the crime of genocide itself. The non-governmental organization (NGO) Article 19 claims the law is rendered illegitimate by international law on the grounds Rwanda ratified the International Covenant on Civil and Political Rights. However, the treaty’s protection can be restricted if there is a threat to national security, public order, and/or public health. This is why those who are accused of genocide ideology are also charged with “divisionism” (the prosecutor claims the accused poses a danger of inciting ethnic-based political violence and thus constitutes a national security threat) and/or a charge that pertains directly to national security (aiding a terrorist group, etc.) to prevent the defense from using this argument in court. Some elements of the international community are very critical of Rwanda’s genocide ideology law because of the fact it can be easily used as a way to stifle political opposition and dissidents. It was this law that was applied to some of the charges leveled against Madame Ingabire, opposition figure Mr. Deogratias Mushayidi, and also against Professor Peter Erlinder, an American defense attorney who went to Rwanda to defend Madame Ingabire and was subsequently arrested. He was charged with genocide denial and posing a threat to national security. He was eventually released on medical grounds following enormous international pressure placed on the Rwandan government. However, Rwanda’s Prosecutor General, Mr. Martin Ngoga, has threatened to call upon Professor Erlinder to return to Rwanda and stand trial for genocide denial now that the exact terms of the immunity extended to him by the ICTR as a defense attorney are known. Due to international criticism, President Kagame’s government accepted a review of the genocide ideology law by international human rights organizations. Amnesty International, one of the reviewers, wrote a report heavily criticizing it as fundamentally flawed. Justice Minister Tharcisse Karugarama has stated that the government is going to alter the genocide ideology law, but thus far the Cabinet has yet to follow through. There is a rapidly growing realization by many countries that some Rwandans who sought political asylum abroad and are now accused of crimes and indicted by the Rwandan government back home are really innocent victims of politically-motivated charges. In many cases, the Rwandan government’s requests for trial extradition have been refused on grounds that the accused will not receive a fair trial in Rwanda. For the same reason, the ICTR has, thus far, refused to transfer its cases to be tried in Rwandan domestic courts. The Rwandan constitution was also amended so that the 1994 genocide must henceforth be referred to specifically as the “Genocide of the Tutsi,” and thus set in law that the Tutsi are viewed as the true survivors and entrenched in constitutional law the government’s version of exactly what they claim happened during 1994. A rough template for this amendment was provided by the ICTR’s unprecedented judicial notice of 2006. By defining the events of 1994 and the genocide in such explicit terms, the Rwandan government can stifle differing viewpoints on the subject and deter discussion, effectively preventing anyone from voicing scrutiny of the events of 1994. The amendment promotes self-censorship and aides in the closure of some political cleavages opposition parties can exploit. Anyone who claims that anything happened or did not happen according to the Rwandan constitutional version of history can be charged in Rwanda with genocidal ideology, revisionism, negationism, and/or other related charges. No discussion of any alleged RPF crimes committed during 1994 is allowed as a result of the amendment. To discuss these alleged crimes could result in being charged. The amendments also act to deter would-be Rwandan witnesses testifying against the RPF in court. Additional implications of this amendment on Rwandan society and its effect on the country’s reconciliation efforts are many and beyond the scope of this article. Another constitutional amendment in 2008 extended diplomatic immunity to all former presidents of Rwanda. This is intended to protect President Kagame from international prosecution via the French and Spanish arrest warrants that accuse President Kagame of crimes by international law. The French and Spanish courts are currently unable to try him due to his diplomatic immunity as a sitting president. To augment these constitutional amendments, the RPF also pushed through a media law in May 2008. It allowed these amendments to be applied in an explicit way to Rwandan media outlets. The law defined very strict penalties for journalists found guilty of spreading “divisionism” in their writings and/or verbal statements. It caused self-censorship, restricted opposing viewpoints, led to the suspension of media outlets critical of the Rwandan government, and stifled freedom of speech. This provides the Rwandan government effective control over the framing and discourse of Rwandan ethnic identity, Rwandan history, reconciliation efforts, and news through pro-RPF and state-owned media outlets that dominate Rwandan communication mediums. Reporters Without Borders ranked Rwanda 169th out of 178 countries in press freedom for the year 2010. Rwanda’s Media High Council (MHC), formerly known as the High Council of the Press, was created by a 2002 law and Presidential Decree. The MHC is mandated to enforce penalties, suspend media outlets, and set the rules that allow media outlets to register and operate in the country. The MHC is comprised of a Board of Directors and an Executive Secretariat appointed by the Prime Minister and is “supervised” by the Ministry of Information. Both bodies are comprised primarily of RPF party members loyal to the party’s Chairman, President Paul Kagame. The MHC’s suppression of the freedom of speech was considered so flagrant and abusive of power that the United Kingdom recently suspended all of its funding for the MHC. However, the United Nations Development Programme (UNDP) still provides funding. Some journalists of government critical media outlets, like Umuseso and Newsline Chief Editor Didas Gasana, fled the country following numerous police interrogations and threats. His deputy editor, Mr. Jean-Leonard Rugambage, stayed in the country and continued to report news critical of the RPF. After writing a story alleging the Rwandan government was directly responsible for the attempted assassination of self-exiled General Kayumba Nyamwasa in South Africa, Mr. Rugambage was gunned down right in front of his home on 24 June 2010. Rwandan police arrested two suspects for the murder. One confessed in court while the other man who allegedly planned the murder was set free in August following an appeal. However, some people still believe the arrests and trial were a staged affair and the real killers still roam free with impunity. According to research done by the Commonwealth Human Rights Initiative (CHRI) prior to Rwanda’s admittance into the Commonwealth, few of Rwanda’s judges are independent and a constitutional amendment to Article 162 of 2008 put the National Prosecuting Authority under the Minister of Justice’s purview and allows him to directly intervene in the prosecution process by giving specific orders if he wishes. Most judges are members of the RPF party bound to loyalty by their Oath of Oneness. Supreme Court judges are appointed by the cabinet and approved by the Senate. In 2008, a constitutional amendment removed a Supreme Court judge’s life tenure. As stated earlier, the Senate majority is held by the RPF. Rwandan sources claim that President Kagame, in his capacities as Chairman of the RPF and chief executive, is able to push through the cabinet’s nominees with ease. Additionally, Rwandan sources who wish to remain anonymous claim judicial independence is also often compromised by the outside influence of President Kagame and other influential RPF members, especially when the case is a political-related trial. The Rwandan parliament currently has a full schedule of legislation. The schedule includes a debate over how to establish Rwanda’s Military University. There will also be a bill to amend the constitution that will be introduced into the lower house by two deputies of the small Ideal Democratic Party (PDI), Mr. Abbas Mukama and Mr. Omar Hamidou, that will abolish presidential term limits. His party is also tabling another amendment that would reduce presidential terms from the current seven year mandate to five years. The PDI is led by Sheikh Musa Fazil Harelimana, who was Vice President of the Electoral Commission during the 2003 presidential polls. Sheikh Harelimana was eventually appointed Governor of the Western Province and is currently the Internal Security Minister. PDI member Al Hajj Andre Habib Bumaya fled Rwanda in March after a long-standing falling out with President Kagame. The major difference between the 2003 and 2010 presidential elections was the presence of real opposition parties who, although two of them were unregistered because of political maneuvering by Rwandan state institutions, openly challenged the RPF on several key domestic and regional issues. Following the 2010 election, many Rwandans expected the RPF to retaliate in some way against those who opposed them. Given the events that occurred during the run-up to the elections, there was great fear about how this retaliation would manifest, especially given that the retaliation is usually carried out with the principles of collective guilt and collective punishment. The FDU-Inkingi was not the only party to challenge the RPF. The Democratic Green Party of Rwanda, comprised of many former RPF members, has many individuals that allegedly continue to receive threats from Rwandan security forces post-election. The party’s leader, Mr. Frank Habineza, was forced to publicly appear weak as the result of a plan to humiliate and discredit him and the party. Rwanda’s Minister of Education, Dr. Charles Murigande, threatened to take legal action over certain statements that were made if Mr. Habineza did not issue a public apology. Dr. Murigande demanded Mr. Habineza publicly say the statements were false and he also had to ask all media outlets to immediately retract the corresponding statements he gave. With no political leverage and fearing harsher retaliation against himself and other party members if he did not cooperate, Mr. Habineza complied fully with Dr. Murigande’s request. Another opposition leader, Mr. Bernard Ntaganda, Chairman of the Socialist Party (PS)-Imberakuri, is in a similar situation to Madame Ingabire. He is also in prison charged with genocide ideology, divisionism, terrorism, and organizing illegal public gatherings. He was denied bail. As the international community began putting pressure on President Kagame to stop oppressing opposition parties, Umuvugizi’s informant claimed that President Kagame allegedly devised a plan to approach Mr. Ntaganda and convince him to character assassinate Madame Ingabire. The alleged plan was to lure Mr. Ntaganda to the government’s side as they allegedly did with other opposition politicians such as Senator Stanley Safari, who the paper claimed helped discredit members of their own parties in exchange for government posts. In the case of Mr. Safari, the RPF eventually turned against him. He was dismissed from his post as a senator after a gacaca court sentenced him to life imprisonment for allegedly killing Tutsi in Butare during 1994. He fled before the trial sentencing and is currently in exile. The article stated Mr. Ntaganda was originally approached while he was in prison. He was asked to sign official statements apologizing to President Kagame and to publicly disown Madame Ingabire. The PS-Imberakuri party is allied with the FDU-Inkingi and the Democratic Green Party of Rwanda in the Permanent Consultative Council of Opposition Parties. In exchange, he allegedly was to be released from prison and rewarded with an important post in the newly elected government. The informant claimed that Mr. Ntaganda was called to the “1930” prison director’s office one night to meet with those in charge of convincing him. It is claimed that he was taken outside the prison several times as coercion to try and convince him. However, Mr. Ntaganda categorically refused to sign the statements. As punishment, he was transferred to solitary confinement under atrocious conditions. He went on a hunger strike to protest and quickly fell gravely ill. Sources claim he was admitted to Kigali’s King Faycal Hospital. In Rwanda’s political arena, one man, the Democratic Green Party of Rwanda’s Vice President Andre Kagwa Rwisereka, paid the ultimate price for his oppositional political beliefs and convictions. Mr. Rwisereka’s nearly decapitated body was found near Butare on 14 July 2010. As with Mr. Rugambage’s murder case, a suspect was arrested by Rwandan police but many people are skeptical of the investigation’s integrity. A number of official statements the Rwandan police made about Mr. Rwisereka’s murder investigation have been soundly refuted. Whether Madame Ingabire and/or Mr. Ntaganda also end up paying the ultimate price for their respective political beliefs remains to be seen and the outcome is partially dependent on the actions (or lack thereof) taken immediately by individuals of good will, associations, NGOs, multilateral institutions and sovereign governments who categorically value freedom, democracy, and the rule of law for all. Now that the presidential election is over and the initial fervor caused by the release of the UN Mapping Report has seemingly passed, the so-called mainstream press no longer seems to be much interested in the small African country. However, political opponents and critics of the regime continue to be oppressed. It is not just experienced by an American lawyer and professor with the National Lawyers Guild and several law associations behind him. The majority of victims are Rwandan nationals who have limited to no resources. The international community and Rwanda’s key donor/allied states have been shamefully silent post-election about the situation in Rwanda. Many donor/allied states still continue to support the regime in various capacities, allowing the state of affairs described in this article (which is the current status quo in Rwanda) to continue with impunity, sending the regime a message that they can continue to engage in these practices out of sight without fear of penalties. This is very problematic because sustaining the current political climate in Rwanda will sow the seeds for future conflict on a potentially large scale. http://www.theproxylake.com/2010/10/leaked-secret-services-to-eliminate-victoire-ingabire/. Accessed 24 October 2010. The original Umuvugizi article written by Mr. Jean-Bosco Gasasira in Kinyarwanda is available at: http://www.umuvugizi.com/artviewer.php?ArtID=0000000303. Mr. Gasasira was acquitted by the Kigali High Court in absentia of defamation and invasion of privacy in September following an appeal. He had already fled the country when the verdict was given. Rwanda is the second largest troop contributor to the joint African Union/United Nations Mission in Darfur (UNAMID). They have over 3,200 soldiers and police on the ground. Rwandan General Patrick Nyamvumba is the mission’s Force Commander. (African Union – United Nations Mission in Darfur. “Rwandan President Receives UNAMID JSR.” Press Release. UNAMID PR/010-2010. 2 March 2010. http://unamid.unmissions.org/Default.aspx?tabid=899&ctl=Details&mid=1072&ItemID=7929. Accessed 25 October 2010. South Africa does not have an extradition treaty with Rwanda and both individuals have official refugee status in South Africa. The “leaked” and “official” versions of the report, along with the official responses of the governments of Rwanda and the Democratic Republic of the Congo, can be found at http://www.friendsofthecongo.org/resource-center/united-nations-report.html. United Nations Security Council. “Resolution 955 (1994).” S/RES/955. 8 November 1994. pg. 2. “Rwanda Urged to Ensure Opposition Leader Receives Fair Trial.” Amnesty International. 28 April 2010. http://www.amnesty.org/en/news-and-updates/rwanda-urged-ensure-opposition-leader-receives-fair-trial-2010-04-28. Accessed 24 October 2010. A. Darby, Orrvar and Ingrid Samset. “Rwanda: Presidential and Parliamentary Elections 2003.” Norwegian Institute of Human Rights (NORDEM). December 2003. http://www.cmi.no/publications/file/1770-rwanda-presidential-and-parliamentary-elections.pdf. B. “Rwanda: Run-up to Presidential Elections Marred by Threats and Harassment.” Amnesty International. AFR 47/010/2003. 21 August 2003. http://www.amnesty.org/en/library/info/AFR47/010/2003. C. “National Democratic Institute (NDI) Assessment of Rwanda’s Pre-election Political Environment and the Role of Political Parties.” National Democratic Institute. 22 September 2003. http://www.ndi.org/node/14548. D. “Preparing for Elections: Tightening Security in the Name of Unity.” Human Rights Watch. May 2003. http://www.hrw.org/en/reports/2003/05/08/preparing-elections. E. “Republic of Rwanda – Final Report: Legislative Elections to the Chamber of Deputies 15-18 September 2008.” European Union Election Observer Mission to Rwanda. 26 January 2009. http://www.eueomrwanda.org/EN/Final_Report.html. Del Ponte, Carla and Chuck Sudetic. “Madame Prosecutor: Confrontations with Humanity’s Worst Criminals and the Culture of Impunity.” 2009. Other Press: New York, NY. pg. 223-239. The full text of the Convention can be viewed at: http://www2.ohchr.org/english/law/ccpr.htm. Article 19. “Comment on the Law Relating to the Punishment of the Crime of Genocide Ideology in Rwanda.” September 2009. http://www.article19.org/pdfs/analysis/rwanda-comment-on-the-law-relating-to-the-punishment-of-the-crime-of-genocid.pdf. Mr. Mushayidi was acquitted of genocide ideology, divisionism, revisionism, and collaborating with a terrorist group (FDLR). However, he was convicted of being a threat to national security, inciting violence, and using forged documents. He was sentenced to life in prison on 17 September 2010. “Rwandan Cabinet Reviews Genocide Ideology Law,” Radio France Internationale. 11 August 2010. The Amnesty International report is available at: http://www.amnesty.org/en/news-and-updates/report/vague-laws-used-criminalise-criticism-government-rwanda-2010-08-31. An earlier report on the current shortcomings of the Rwandan judicial system written by Human Rights Watch can be found at: http://www.hrw.org/node/62098. Government of the Republic of Rwanda. “Genocide.” http://www.gov.rw/page.php?id_article=19. Accessed 24 October 2010.
 International Criminal Tribunal for Rwanda. “ICTR Appeals Chamber Takes Judicial Notice of Genocide in Rwanda.” Press Release. ICTR/INFO-9-2-481.EN. 20 June 2006. http://69.94.11.53/ENGLISH/PRESSREL/2006/481.htm. Accessed 24 October 2010. Some of the Rwandan national ICTR defense investigators carrying out their official mandates were either intimidated or arrested and rendered unable to continue their work. (International Criminal Tribunal for Rwanda. “ICTR-ADAD Submissions as Amicus Curiae: The Prosecutor vs. Ildephonse Hategekimana.” Case No. ICTR-2000-551. 10 April 2008. Pg. 9-10.) Document available upon request. Government of the Republic of Rwanda. “Ex-presidents Given Immunity.” 18 July 2008. http://www.gov.rw/sub.php?page=print&id_article=23. Accessed 24 October 2010. Note: Mr. Gasasira’s positive comments were made while he was not in exile and feared for his life if he challenged the regime. “Press Freedom Index 2010.” Reporters Without Borders. October 2010. http://en.rsf.org/press-freedom-index-2010,1034.html. Accessed 24 October 2010. House of Commons Debate. 7 July 2010. c353. http://www.theyworkforyou.com/debates/?id=2010-07-07a.353.1. Accessed 24 October 2010. United Nations Development Programme. “Rwanda: Programme for Strengthening Good Governance.” 2007. http://www.undp.org.rw/Democratic-project46259.html?id=112. Accessed 24 October 2010. “MPs Seek Powers to Interpret the Law,” Edwin Musoni. The New Times. 11 February 2010. Commonwealth Human Rights Initiative. “Rwanda’s Application for Membership of the Commonwealth: Report and Recommendations of the Commonwealth Human Rights Initiative.” August 2009. pg. 46. http://www.humanrightsinitiative.org/publications/hradvocacy/rwanda’s_application_for_membership_of_the_commonwealth.pdf. “PDI Wants Presidential 7-year Term Reduced.” Rwandan News Agency. http://www.rwandagateway.org/spip.php?article797. Accessed 24 October 2010. The PS-Imburakuri is an officially registered political party in Rwanda. Permanent Consultative Council of Opposition Parties in Rwanda. “Rwandan Opposition Calls for a Transitional Government of National Unity.” Press Release. 31 August 2010. http://rwandagreendemocrats.org/spip.php?article103. Accessed 25 October 2010. For further information on conditions inside Rwandan prisons, see: Tertsakian, Carina. “Le Chateau: The Lives of Prisoners in Rwanda.” 2008. Arves Books: London, UK. “Rwanda: Allow Independent Autopsy of Opposition Politician.” Human Rights Watch. 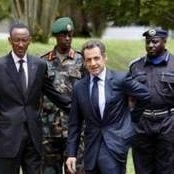 21 July 2010. http://www.hrw.org/en/news/2010/07/20/rwanda-allow-independent-autopsy-opposition-politician. Accessed 24 October 2010. Kigali – From a four-year ban in Rwanda, French radio RFI is back on the FM frequency in French and Swahili in what officials said is part of the renewed relations between Kigali and Paris. RFI has also returned on the airwaves with a new frequency 91.9 and can be heard in Kigali since Tuesday, but tests have been ongoing since September. Listeners in other provinces also indicated they are getting the RFI signal. “It’s with immense pleasure that RFI can rediscover its Rwandan listeners with a new offering, enriched by two hours daily in Swahili along with programmes in French”, said Geneviève Goetzinger Executive Director of RFI. The return of RFI to the airwaves comes during a warming of relations between the two countries. Goëtzinger said RFI has new and more attractive programming including two hours of Swahili broadcasts for listeners in this region. RFI was switched off by government in November 2006 following the contested indictments from a French judge against 9 top officials over alleged links to the assassination of ex-president Juvenal Habyarimana. French diplomats were expelled, as were all French interests including a school and a cultural center. All these have since reopened following a return to normalcy in relations between Kigali and Paris which started in November last year. With RFI FM frequency back on air, it brings to four international broadcasters with a 24-hour relay into Rwanda, including BBC, DW and VOA. Both BBC and VOA have Kinyarwanda segments ranging between an hour and two hours daily. There are also about 10 local FM stations, along with state Radio Rwanda. Rwandan president Paul Kagame has brought to the public place the increasing divergence of views between his administration and its Western partners, formerly known to be unconditional supporters. “When one walks out, another walks in, saying: ‘I heard that you have a genocide law, a law repressing genocide. We don’t trust you. It is a way to oppress political opponents’, Kagame said on 7 October, during the inauguration of his not-changed government. He was referring specifically to former colonial power Belgium, and to the Netherlands. “Look”, he said, “I explain to them, persistently”, but some shut their ears, unwilling to listen. He added: “Even the one who listens is not satisfied because your story is not the one he wants to hear’. “Even when you have collaborated with them in corruption, you will be the culprit, they will be the judge. Imagine a situation in which you get corrupt together another person and, at the end, that person turns back to you and becomes your judge”, he said, in what analysts saw as a clear reference to the UN mapping exercise that concluded that Kagame’s troops might have committed genocide against the Hutu in the DR Congo. These developments occur as opposition leaders Victoire Ingabire, Bernard Ntaganda, Deo Mushayidi and others, are in jail: they are all accused of terrorism and are likely to spend the rest of their lives in jail. 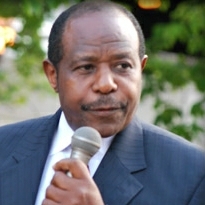 Paul Rusesabagina, President of Hotel Rwanda Rusesabagina Foundation (HRRF). Kigali – Government has evidence that exiled opposition politician Paul Rusesabagina and jailed Victoire Ingabire have been in constant contact and fundraising for the FDLR rebels, says the Prosecutor General. Three former FDLR commanders Lt. Col Tharcisse Nditurende, Major Vital Uwumuremyi and Captain Jean Marie Vianney Karuta, all charged as Ingabire’s accomplices have provided valuation information on the link between Ingabire and Rusesabagina, according to Prosecutor General Martin Ngoga. Rusesabagina is the inspiration behind the Hollywood movie ‘Hotel Rwanda’ in which he supposedly saved some 1200 people from being killed during the 1994 Genocide against Tutsis. Before 2004, Rusesabagina was a taxi driver in Brussels, but using the money and fame from the movie, Rusesabagina has become one of the fiercest critics to President Kagame and his government. With Ingabire facing terrorism charges over forming the CDF armed wing of her FDU Inkingi party, prosecution says Rusesagabina has been wiring money from his base in the United States to the FDLR rebels. Ngoga says money in US dollar bills was wired from San Antonio (State of Texas) in the US to accounts in Burundi, DRC and Dar-es-salaam. No details have been availed by Ngoga as exactly the amounts which have been transferred and the dates. The FDLR is a terrorist group and transferring such a large amount of money is a serious criminal offence, said Ngoga. Meanwhile, the National Prosecutions Department says it has received indication from the United States and the Netherlands that they will cooperate with providing requested information to aid in the prosecution of Ingabire. Government had previously said Ingabire’s other cases have stalled because other countries were not cooperating. The fiery government critic is spending her first day in the maximum security ‘1930’ prison after the Gasabo Intermediate Court ruled to remand her for 30 days. She has already filed an appeal against the ruling she angrily described in court on Tuesday as politically motivated. Kigali – State prosecutors in the terrorism case against opposition politician Victoire Ingabire have accused some countries of not cooperating in the investigations into her “terrorist activities”, but also welcomed the support that some governments in this region have offered. Prosecutor General Martin Ngoga said immediately after Ingabire was refused bail by the Gasabo Intermediate Court that ongoing investigation into the activities of Ingabire would be “far-reaching” – with information expected to come from many places. In a statement, Ngoga thanked countries in the region for their collaboration and urged other countries from which Rwanda had requested information, including Belgium, the Netherlands, Switzerland and the United States to cooperate in what he called “this far-reaching terrorist investigation”. “In public, Victoire Ingabire masquerades as a politician. But behind the scenes she operates as a terrorist leader and financier,” Ngoga was quoted as saying. Ingabire is charged along with a former FDLR commander Major Vital Uwumuremyi of planning to set up a rebel group – CDF, which would be the armed wing of the yet-to-be registered FDU Inkingi party, which Ingabire heads. Prosecution has labeled the group a terrorist oganisation intent on overthrowing a legitimate government. – Fourth: as long as no evidence found, keep suspect in jail and keep searching for evidence. In court on Monday and Tuesday, it was not clear if Major Uwumuremyi was being treated as a co-accused to Ingabire or a prosecution witness, as he was brought in by prosecution as one of its witnesses. He was also charged with the same cases. On Tuesday, as the court ruled to deny Ingabire bail and remanding her to 30 days in jail as investigations continue, she erupted in an outburst – accusing the judiciary of working for the ruling RPF party. She has described the charges against her as fabricated and politically motivated, and has vowed to appeal the verdict. Ngoga said in the statement: “Ms. Ingabire’s personal safety is assured throughout the judicial process and that she will receive a fair trial”. In the meantime, Ingabire spends her first night in the maximum security ‘1930’ prison in Kigali, as she prepares the defense for the bail appeal. Since October 14, she has been held at the Kicukiro police station, according to police. Her party has claimed that she has been refused food and a mattress which have been provided by them – calling the conditions in the cell as inhumane. The group also says Ingabire has been having her handcuffs all the time. The Police have dismissed these concerns, as has the Prosecutor General Ngoga, who said Ingabire would not be treated any different from other inmates. It has not been clear if Ingabire was being held in a cell with other suspects in custody there, or separately – considering the charges against her. A court in Rwanda Tuesday denied bail to Victoire Ingabire, an opposition leader arrested earlier this month, a statement from the prosecutor’s office said. “The Gasabo Intermediate Court refused Victoire Ingabire bail on charges that include collaborating with a terrorist organisation,” the statement said. “In public, Victoire Ingabire masquerades as a politician. But behind the scenes she operates as a terrorist leader and financier,” chief prosecutor Martin Ngoga was quoted as saying. Ingabire, the leader of the unregistered United Democratic Forces (FDU), was arrested October 14 in Kigali on the basis of information given by a former military officer for “organising a terrorist group”. According to police, the officer, who was arrested the day before Ingabire on the Rwanda-DR Congo border, said he had received her assistance to “set up a military wing of the FDU”. “Mr Ngoga said that Ms. Ingabire’s personal safety is assured throughout the judicial process and that she will receive a fair trial,” the statement said. Ngoga thanked countries in the region for their collaboration and urged other countries from which Rwanda had requested information, including Belgium, the Netherlands, Switzerland and the United States to cooperate in what he called “this far-reaching terrorist investigation”. Ingabire, who has appealed the court decision, was first arrested in April on accusations of associating with a terrorist group, denying genocide, promoting genocide ideology and division. Key among those accusations is her alleged association with the DR Congo-based Hutu rebels Kigali blames for involvement in the genocide. After her release, she was placed under police investigation and barred from travelling outside the capital Kigali pending trial. Authorities also barred her attempts to register the FDU and run for the August 9 presidential election which was resoundingly won by President Paul Kagame. The Gasabo court has rejected today the bail request for FDU-Inkingi leader Victoire Ingabire Umuhoza. Here follows the reaction of FDU-Inkingi support committee. Today, the GASABO Court rejected the bail for the detained opposition leader, Victoire INGABIRE, tortured and humiliated by the jailers. The Court decision is officially based on worries that the security of the state might be in danger if the defendant is free. It is a political decision, and not justice. The politically motivated charges keep on coming over at an alarming rate as the regime and its secret police are manufacturing or recycling new accusations all the time. On October 6th 2010, President Paul KAGAME informed the public that the political space is full and occupied. It is clear, there is no room left in politics in Rwanda, only in jail. It’s very sad indeed for our country, its leadership, our people, our partners and the friends of Rwanda. Where do they think this country is heading to? Can’t they really see how close to the brink of chaos, our country is? In the history of humanity, dictatorships have found resources, demagogic propaganda and lobbies to shield their powers and fool people and the world until disintegration. It has been always a small group of people, committed and ready to loose everything, who, by their determination and courage set the dawn of a new order. We are not alone. Those who genuinely support peace, justice and democracy will be on our side. All genuine opposition parties have been beheaded. Their leaders are either in jail, either in exile, or buried. Shame on those who continue to ignore the cries of our people. There will never be stability in a country where there is no independent justice, no neutral security institutions, no freedoms and no rule of law. Speak it out, your silence is lethal! “History will have to record that the greatest tragedy of this period of social transition was not the strident clamour of the bad people, but the appalling silence of the good people” said Martin Luther King, Jr.
We call for an immediate release of Ms. Victoire INGABIRE, the Chair of FDU-INKINGI; Mr. Bernard NTAGANDA, the Chair of the Social Party IMBERAKURI, and other political prisoners. We expect all the partners of Rwanda to seriously discuss with General Paul KAGAME the need for a real political space in our country and its future. When she left the Netherlands in January 2010, Victoire Ingabire was hoping to occupy some room in the political space of her home country Rwanda. She even wanted to run for presidency to challenge incumbent president Paul Kagame, who finally won the almost one-horse race with 93 percent of votes. Ingabire was allowed neither to register her party, nor her candidacy. Instead, she was accused of disseminating the genocidal ideology. Her lawyer, Peter Erlinder, was caught and jailed for the same crime, but was released later, after pressure coming from the US and all over the world. Apparently, the charges proved not to be strong enough. A new one was added: Ingabire is a terrorist preparing attacks on Rwanda. A key witness who bought arms for her is already in custody. It’s a state security case and no one can have access to her. Thus, from the status of ambitious politician operating from her European exile, Ingabire turned out to be a ‘terrorist’, the most serious crime for which other politicians have received a life imprisonment. It should be noted that her arrest followed president Kagame’s historic speech on 7 October, which many analysts have considered to be a turning point in his relations with the West. Apart from frontally attacking and mocking his now critical western backers, Kagame triumphantly announced that ‘the political space is well and fully occupied by the people of this country’, who spoke in ‘big numbers’ and – this one is important — freely. Now that Ingabire is in jail, in the hands of those she constantly and virulently criticised, three scenarios are possible for the coming months and years. First, one would say that Ingabire stands a very little chance to be acquitted by Rwandan courts, as two of the most serious crimes in post-genocide Rwanda hang on her head. Thus, she will most likely spend the coming years at 1930, the famous Kigali central prison, where she would be isolated from other inmates for fear she would contaminate them. She would then be invited or pushed to repent, and ask for a presidential pardon, which was the case for former president Pasteur Bizimungu. That scenario consists in a psycological death, followed by, and resulting in, a political death. Bernard Ntaganda is in this scenario. A third scenario could be envisaged: Physical death while in detention. Any way Green Party’s vice-president Rwisereka was beheaded and nothing happened. The reasoning might go in the direction of a slow, seemingly natural but assisted death. Ingabire’s husband, Lin Muyizere fears already for the health of his wife, whose blood pressure is said to be very low. She is also reported to sleep on bare floor and to receive to food or proper medication. ● UN Tribunal confirms Rwanda has green light to prosecute US lawyer Peter Erlinder for genocide denial. ● If Prof. Erlinder fails to respond to summons, Rwanda will turn to Interpol. Law professor Peter Erlinder, jailed in May in Rwanda and released in June on bail, will be criminally charged with denying the genocide that devastated that country in the early 1990s, according to that Rwanda’s chief prosecutor, Martin Ngoga. Erlinder, 62, is a well-known human rights lawyer who had travelled to Rwanda to represent Ms. Victoire Ingabire Umuhoza, an opposition leader who was barred from challenging President Paul Kagame in the Aug. 9 elections. Ingabire was arrested in April, released on bail and placed under house arrest, and then rearrested in October on charges of genocide denial and terrorism. Earlier this year, Erlinder helped file suit in U.S. federal court (Oklahoma) alleging that Kagame was the mastermind of the violence that triggered the 1994 genocide.